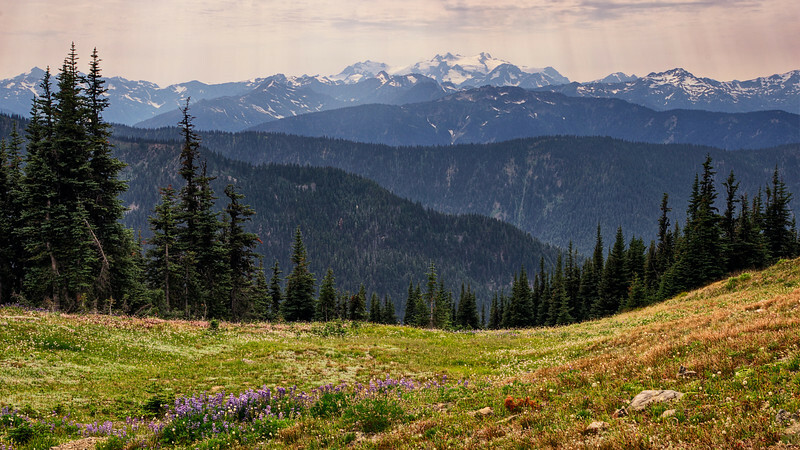 The Olympic Mountains are an amazing circular mountain chain found in Olympic National Park. These are steep and rugged affairs, thanks to this fact the Olympics were some of the last terrain thoroughly explored in Washington State. Image Notes: We were pretty well socked in under uninspiring cloud cover on the day I took this, so I opted to try HDRI to liven things up a bit. On this one it was a 9 frame HDR image, thanks for looking!